Ant and Dec have posted a picture of themselves on their first day working together for almost a year. The picture seemed to have been taken in a car en route to the London Palladium, where the pair are hosting auditions for Britain’s Got Talent. “Audition day 1. The boys are back in town!” reads the accompanying message. It is Ant McPartlin’s first day on the job since his arrest and conviction for drink driving last spring, after which he took time off to go to rehab. He and Declan Donnelly were seen entering a rear entrance of the theatre on Friday. They briefly posed for photos but did not speak to waiting journalists. Ant, 43, was involved in a three-car collision in south-west London on 18 March last year. Last August, Ant said his recovery was going “very well” and that he was looking forward to getting back to work “in the New Year”. 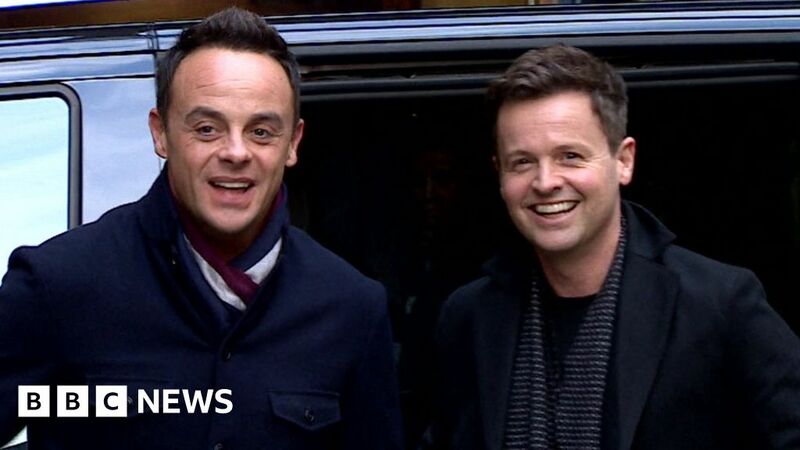 Dec subsequently presented I’m A Celebrity… Get Me Out Of Here! with Holly Willoughby by his side. On Friday, Willoughby greeted the pair’s picture with a celebratory “Woooohooooo!! !” and three applause emojis. Viewers will see Ant and Dec reunited on screen later this year when Britain’s Got Talent returns to ITV. But they will have longer to wait for Ant and Dec’s Saturday Night Takeaway, which will not return to the channel until 2020. ← What's behind the success of Netflix's latest releases?